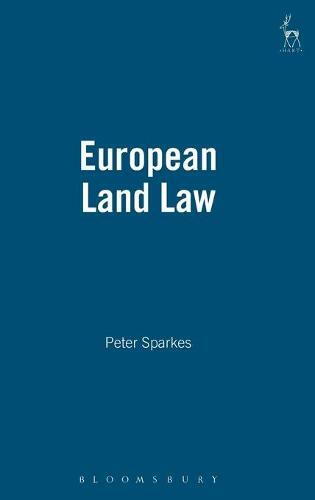 In his remarkable, path-breaking new book, Peter Sparkes takes stock of the development of a distinctive body of European land law, taking as his starting point the idea that methods of land-holding permitted by a legal system both shape and reflect the attitudes of the land owners and society in general. However it quickly becomes very difficult to test that idea when the society in question is governed by an internal market composed of 30 countries (the EU-27, including Bulgaria and Romania, and the EEA-3), whose property systems differ so markedly and which reflect such widely differing cultures. Yet the internal market has already effected a gradual equalisation and standardisation across Europe as foreign capital spreads to create equality of yield. "We all become better off by joining a larger trading block but the social consequences will be profound: Brits will need to emigrate to the continent to afford a home, Bulgarians will need to make way for them along the Black Sea coast, and title deeds will be reshuffled all over Europe on a giant Monopoly board" writes the author in his preface, before embarking on a dispassionate examination of the beginning of that process of profound change. The opening chapters are devoted to an explanation of how the internal market has created a substantive European land law. Chapter 3 examines the rise of a distinctive European land law, and the development of conflicts principles applying to recovery of land. Chapters 5 to 9 on the marketing and sale of land focus upon Community competence on consumer protection. The decision to treat land as a product like any other in the Unfair Commercial Practices Directive will have wide ranging and far reaching implications and, apart from marketing of land and of timeshares, other chapters deal with conveyancing, contracting and the emerging market in mortgage credit. The book concludes with a miscellany of conflicts rules which are gradually coalescing and form the elements from which a substantive European land law can be forged. A number of topics which it is not possible to cover in detail (VAT, other taxes, environmental controls and agriculture) are touched on briefly, and the same is true of international aspects of trusts and succession.